Life is slowly returning to semblance of normalcy in Douma, eastern Ghouta, with residents returning and starting to repair their homes. Finding food and restoring livelihoods, however, remains a challenge for millions across war-torn Syria. 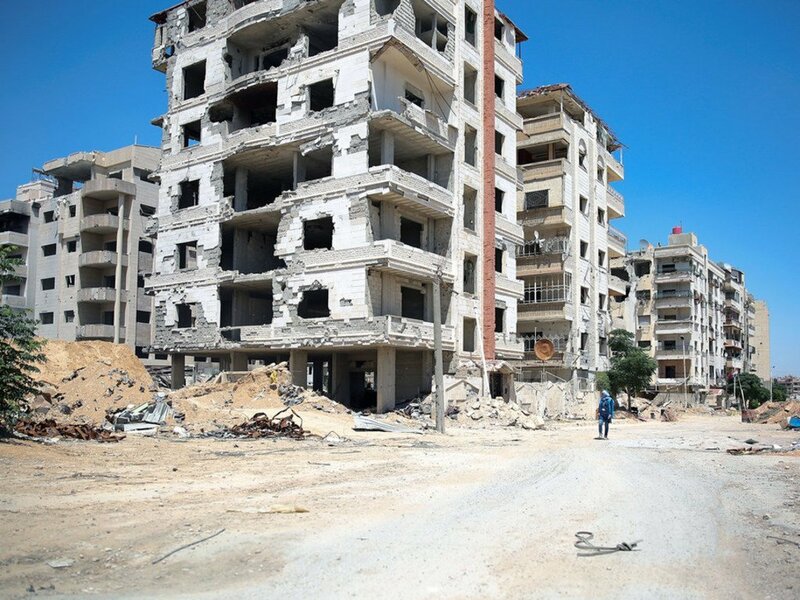 Nearly a million Syrians have headed home amid improving security, only to find houses destroyed and livelihoods lost said the United Nations emergency food relief agency on Tuesday, leaving many civilians still reliant on aid. “The purpose of the visit,” said Mr. Verhoosel, “is to gain a better understanding of the situation on the ground, especially given the wheat crop,” he added. On Wednesday, Mr. Beasely will travel to Lebanon, which is hosting nearly a million Syrian refugees, 700,000 of whom are dependent on WFP food assistance.